Funded as a result of ARRA (American Recovery and Reinvestment Act) the Westville Family Medical Center is committed to providing quality affordable healthcare to the residents of Adair County and surrounding areas. 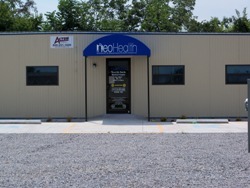 We have family practice for the residents of Westville and the surrounding area. The Westville Family Medical Center has 6 exam rooms, and one lab.